Just imagine the memories that will flood through Lorenzo Romar’s head Saturday night when he steps on the court minutes before tipoff at Alaska Airlines Arena. Lorenzo Romar laughed as he recounted the good and bad times of his 15-year tenure as Washington men’s basketball coach. Sure it hurt to get fired last year. It hurt like heck. He wanted nothing more than to coach a touted recruiting class and return the Huskies to the NCAA tournament for the first time since 2011. But obviously that didn’t happen. Coaches who don’t win games get fired. Those were his words. He understood that on April 3, 2002 — the day he was hired at UW — and it was painfully evident March 15, 2017, when athletic director Jen Cohen relieved him of his duties. “I want to make it clear that it hurt to no longer be the coach at the University of Washington,” Romar said. “But as I’ve said before and I feel even stronger this way, I have no complaints. Zero. No, he doesn’t spend his days second-guessing what he could have done differently last season, which ended unceremoniously with 13 straight losses and the worst UW record (9-22, 2-16 Pac-12) in 23 years. He’s busy in his new job as the associate head coach at Arizona. The 59-year-old assistant and his wife Leona have fallen in love with Tucson, Ariz., while still keeping their home in Seattle, which is being occupied by his daughter Taylor and her husband. Between recruiting, preparing for games and practice, it’s enough for Romar. For now. But every so often, something will stir a memory and he’s reliving a moment from his past like that day in 2009 when UW won its first outright conference title. Or he’s agonizing over the overtime loss to Connecticut in the 2006 NCAA tournament Sweet 16. “That will always be No. 1,” he said when asked about the heartbreaking moments with the Huskies. Nate Robinson (2005), Brandon Roy (2006), Spencer Hawes (2007), Quincy Pondexter (2010), Terrance Ross (2012), Tony Wroten Jr. (2012), C.J. Wilcox (2014), Marquese Chriss (2016), Dejounte Murray (2016) and Markelle Fultz (2017). But Romar, a devout Christian who leans heavily on his faith, has learned to live with the regrets and leave the disappointments in the past. If No. 9 Arizona (19-4, 9-1) weren’t playing Washington (16-6, 6-3) at 7:30 p.m. Saturday at Alaska Airlines Arena, Romar probably wouldn’t have granted this interview or the others he’s agreed to in the days ahead of his Husky homecoming. But everyone wants to know what’s in his heart and mind as he returns to the court where he was a standout Huskies point guard for two years (1978-80). Back then, the place was called Hec Edmundson Pavilion and Romar, a Compton, Calif., native who transferred from Cerritos Community College, was a pass-first playmaker for Marv Harshman. In 2002, Romar inherited a UW team hadn’t won more than 11 games in the each of the previous three seasons and was 11-18 in 2001-02. Romar, who coached at Saint Louis (1999-2002) and Pepperdine (1996-99), cherishes the early years at Washington when the Huskies rose to prominence. After going 10-17 his first year, Romar led UW to three straight NCAA tournaments, including two trips to the Sweet 16. 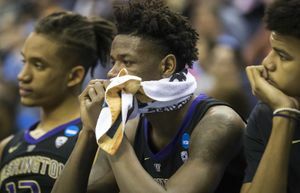 The Huskies missed the Big Dance the next two years before making another three-year run in the NCAA tournament that included a return to the Sweet 16 in 2010. 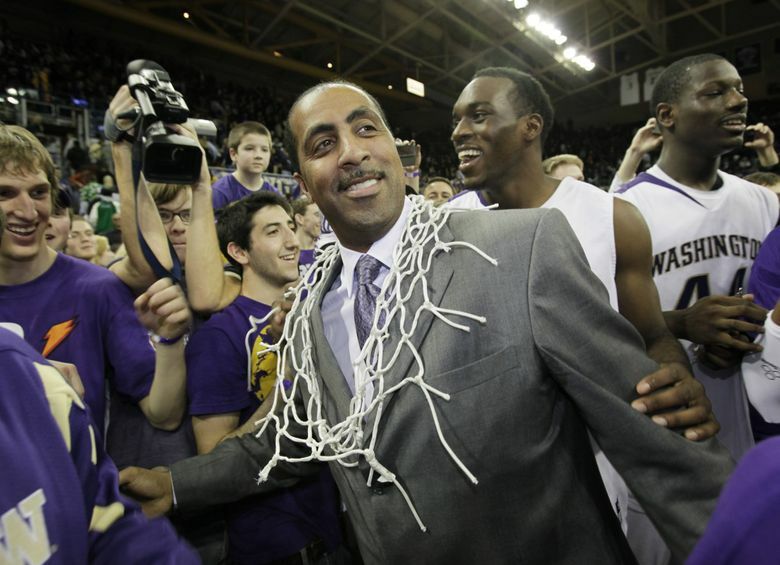 During the winningest period in Husky basketball, Romar’s teams went 298-196 and won three conference-tournament titles. He produced 10 NBA first-round draft picks as well as second-rounder Isaiah Thomas, whose No. 2 jersey is being retired at UW this month. Just imagine the memories that will flood through Romar’s head Saturday when he steps on the court minutes before tipoff with Miller and Arizona’s assistants. All eyes will be on Romar, who will probably wear a red tie, as he strolls past the UW bench and greets UW assistant Cameron Dollar, his former player at UCLA and chief lieutenant at UW. He’ll greet his successor, Mike Hopkins. 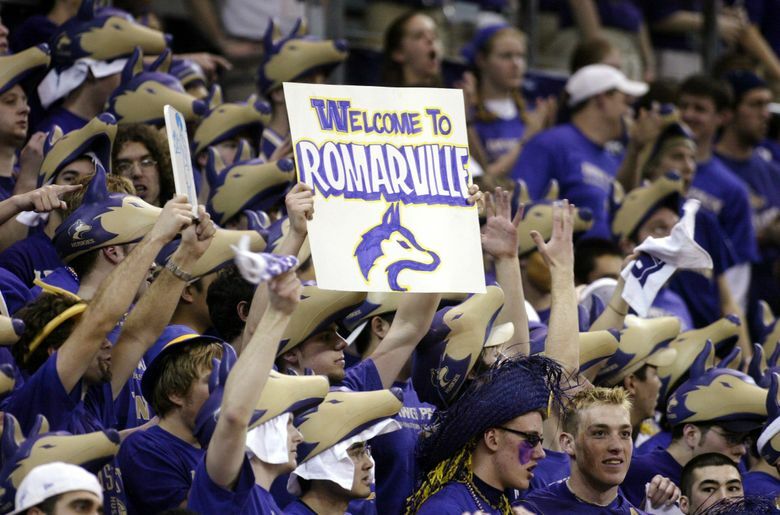 And then Romar will walk past the Dawg Pack and take a seat on the visiting bench. Romar hinted that he’s anticipating a rude reception, but then reiterated that he’s unsure what’s going to happen. “This is not something I’ve ever been through,” he said. 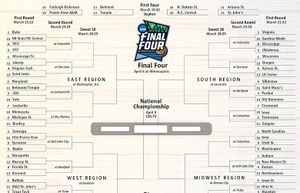 “I know we’re going there. We’re fighting to win a conference championship.